Karli is all about quality and simplicity; she loves heavy and soft fabrics that are well built and structured for herself so I knew she would be the same with the baby. Me on the other hand..... I love bright, eclectic colours and bold prints and illustrations so there was always going to be a bit of a clash there! 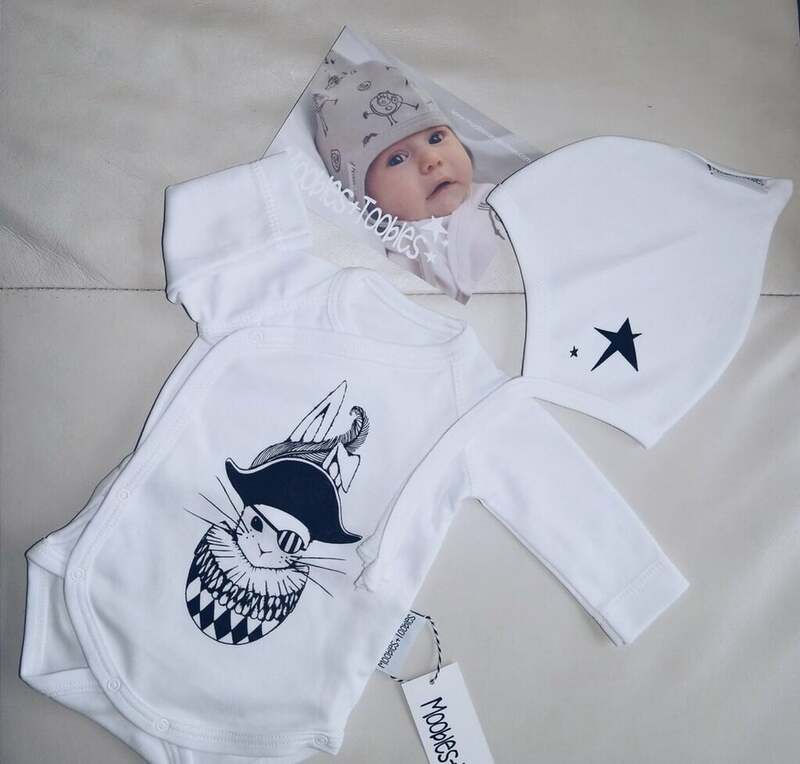 We are in love with this bodysuit with a beautifully illustrated 'Tudor Bunny' on the front and a Star Elfin Hat that we keep imagining on the baby! 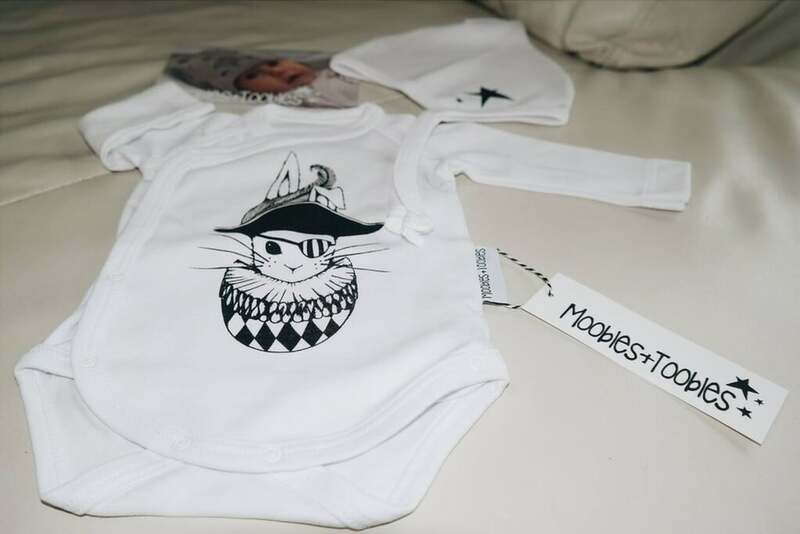 This is the first outfit we have for our June baby and we think it suits both our sensibilities and styles with the fabric and structure and illustrations! Check them out below!